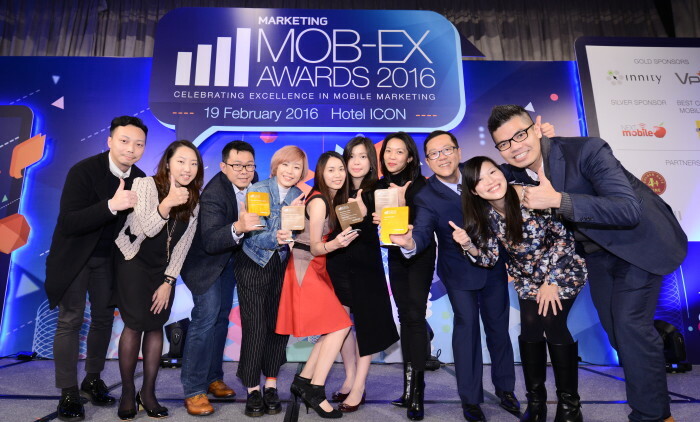 Pixels won a total of five awards at Marketing magazine’s Mob-Ex Awards 2016, including two gold awards in Best Mobile Advertising Team and Best Mobile Advertising Platform categories respectively. Pixels’ CEO Kevin Huang said he was thrilled to be recognised as being the best in the mobile advertising industry. “These awards recognise our hard work and commitment to being a part of a robust mobile advertising ecosystem. As the market leader in this space, we will strive to play a bigger role in helping the mobile ad industry grow beyond its current state and to help it reach its full potential,” he said. Alexandra Lo, senior digital manager of Wyeth Nutrition said: “We are delighted the Illuma Sound of Talent campaign has been well received by parents all over Hong Kong and the world. We are equally delighted to have been recognised by our industry peers and winning an award in the Best Original Content category at Mob-Ex 2016”. Rebecca Swift, director of creative planning and Tom Hind, creative content director at Getty Images, talk to Jennifer Chan about ..